The challenge faced by golf clubs of the future lies in balancing optimal playing quality courses and sustainable environmental and economic practices. Implementing a water, gas, and electricity strategy saves on all of these resources – and saves you money at the same time. Even if you look to turf maintenance and clubhouse costs as a starting point, these intensive areas can make a big difference. Utilise available technologies and conduct audits to get an accurate understanding of usage and make adjustments in line with this. Performing regular maintenance also keeps equipment running at its best for reduced water and energy spend. Using cleaner, cheaper energy is the cornerstone of sustainable golf practices. Whether gradually implementing renewable solutions or investing in the initial outlay with the end in mind, there are a number of ways renewable resources can be utilised. As solar, wind, and water recycling technologies become more accessible to golf clubs, so this trend in the industry is being adopted – with solar-powered carts and storm water recycling commonplace. The result is optimal resource management, reduced impact on the environment, and an associated cost saving on energy and irrigation in particular. As more golf courses integrate synthetic turf, indigenous greenery, and drought-ready plant types, so the traditional emerald green fairways become less competitive – and viable – in the golf industry of the future. Utilising the golf environment – by means of clever drainage, soil aeration, and adoption of practices suited to the seasons and climate of your course – stands to further transform how things are done on the golf courses of the future. The reduced maintenance requirement of these types of courses frees up further resources for an additional cost benefit. An increasing number of golf courses are prioritising sustainability into their operations – and rightfully so as the industry shifts with international trends. Smarter Golf Energy is a team of specialist brokers in golf utilities whose aim it is to develop the sport by partnering with clubs in developing energy, water, and gas strategy. 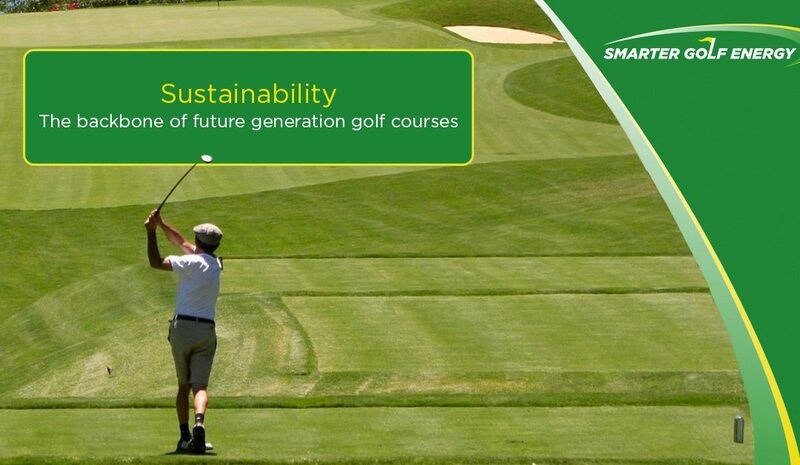 Contact Smarter Golf Energy today to find out more about how to gear your golf club for a sustainable future.